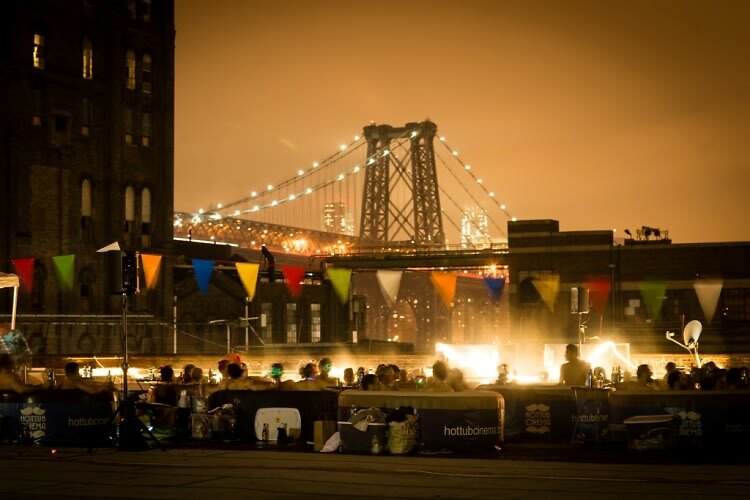 Thursday night on a scenic rooftop at Windmill Studios, London-based Hot Tub Cinema made its American debut in Brooklyn. Clad in bikinis and ready for a pool party like no other, guests got to lounge in inflatable hot tubs with their cliques and enjoy an open bar with a slew of drinks from Anheuser-Busch, Booze Carriage, and Public House Wines, to cater to everyone's tastes. After watching the sun fall behind the Manhattan skyline, all eyes were on the inflatable screen playing the blockbuster "Hot Tub Time Machine" (fitting, no? ), and everyone fiercely munched on endless amounts of popcorn. The extravaganza was organized and funded by New Yorkers using Crowdtilt, a platform to crowdfund to throw events - both big and small. Whether you want to pool money together to host a bagel breakfast in your office, or throw a Great Gatsby ball at a glamorous penthouse, anyone can start a Crowdtilt campaign to collect money with their group and make amazing things happen. For all party planners in training, bring your imagination to life and get your idea tilted. Gatsby's got nothing on you. 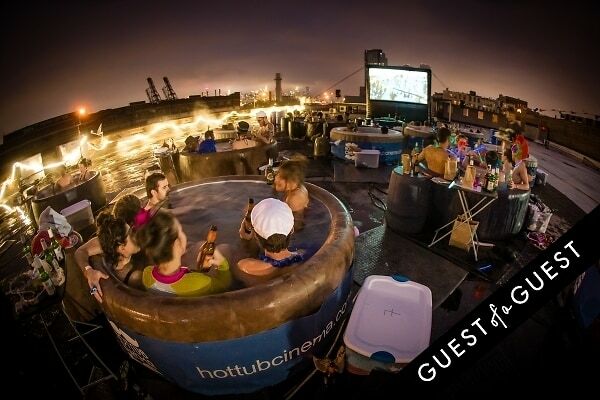 Don’t panic if you missed the event, we hear there are plenty more Hot Tub Cinema events to come. 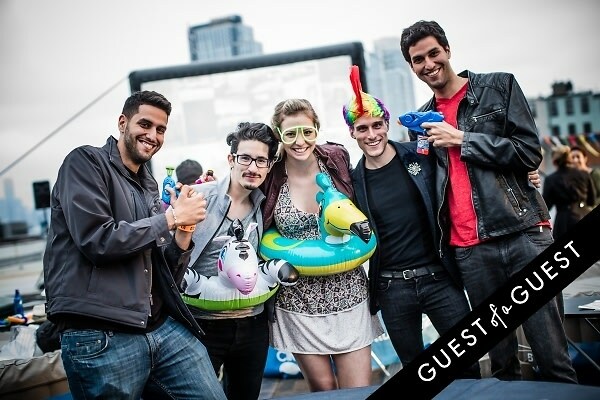 Go HERE for more photos by Joshua Wong from Crowdtilt's Hot Tub Cinema Event!